Superior Garage Door Repairs caters to homeowners and businesses throughout Minnesota. They can fix broken garage door openers, faulty motors or cables, broken panels, damaged torsion springs, and broken garage door electrical systems and garage door remotes. Superior Garage Door Repairs can also install new garage doors and help clients find a door that fits their garage and budget. Superior Garage Door Repairs offers garage door repair St. Paul Minnesota 24/7. Upon arrival, their technicians will inspect the door to determine the primary cause of the problem. They will recommend the best course of action and proceed with the process after getting the customer’s approval. Doors that are beyond repair have to be replaced. Superior Garage Door Repairs can install rolling grilles, tailor-made entryways, and rolling steel doors. They can also install electric and remote-control systems, parking gates, commercial operators and glass doors. Many people are casual about the safety of the garage. A garage requires a lot of proper safety measures and maintenance. 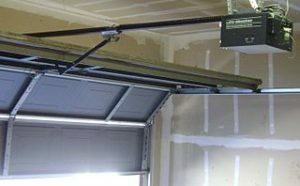 If the garage door is not working correctly, it might become a threat to the safety of the vehicle and to the occupants of the house. As such, it is essential to get a garage door repair service or replaced as soon as possible. Superior Garage Door Repairs treats each customer as a part of the family. Their technicians can fix torsion springs and door openers quickly, so it won’t be a threat of unwanted entry. They can also repair and remote controlled door to help homeowners keep their vehicles and family safe at all times. 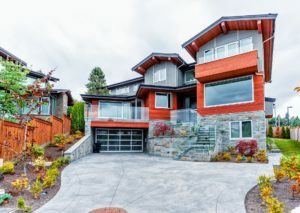 Intruders will not be able to open the door as only the homeowner, and family members have access to the remote control. Superior Garage Door Repairs can also install safety sensors to help homeowners or businesses detect forced or unwanted entry to their property. Their technicians have a lot of experience in installing anti-burglar equipment, so they can help homeowners and businesses make their garage theft proof. Customers can have peace of mind knowing that they won’t have to worry about the security of their property even when they are out of town for a few days. Superior Garage Door Repair uses only advanced equipment and high-quality replacement parts to complete their jobs quickly and efficiently. They attend to emergencies immediately or come at a time that works for their customers. Their technicians are available during weekends or in the evenings. They stay up-to-date with the latest technology and trends in the industry. 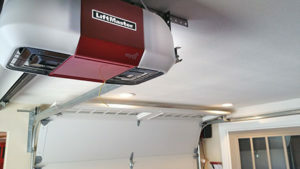 Homeowners and businesses are assured that their garage door problem will be thoroughly and immediately solved by the company’s trained and helpful staff. Superior Garage Door Repairs also offers low repair costs and no-obligation consultations to everyone who calls them. Interested individuals can speak with one of the company’s friendly advisors today to learn how Superior Garage Door Repairs can help them. Superior Garage Door Repairs offers garage door repair St. Paul MN. They have been in business for more than 20 years. No problem is too big or too small for the company. They cater to residential and commercial properties throughout Minnesota. Superior Garage Door Repairs has a team of trained and experienced technicians who can deal with a wide range of garage door problems, including broken garage door openers, torsion springs and more. They can also help customers choose a new door for their garage and install it quickly without any problem. For more information, call (612) 324-5443 or email support@superioriorgaragedoorsrepair.com.